CastingWords is proud to announce a whole new service! WatchingWords is a Software as a Service solution that helps you organize your media, edit captions, and manage transcriptions. Choose a monthly transcription plan, connect your media source, and sit back. We transcribe all of your audio and video as it comes in, quickly converting your media files into timestamped, searchable text in a variety of formats. Search on a keyword and jump straight to the quote or segment you’re looking for, in both the text and the audio. Edit right on the site in our timing-aware interface, then download in a range of text, subtitle, and caption formats. You pick who will work on your material. Choose people from start to finish, machine transcription with a once-over by a human editor, or let the AI do all the work and clean it up yourself. These plans are 100% human, with all the work done by our trusted transcribers and editors. This is high quality transcription, 99% accurate, and the preferred product for publishers. Enjoy the same speed and quality you have come to expect from the CastingWords 1-Day transcription service. With this plan, our AI does the transcription, then a human editor comes in to handle the heavy lifting of error correction. This combination offers up a big savings over our people-only service, while the human edit saves you a lot of time on improving the machine transcript. The AI does it all on these plans. These transcripts are cheap, and very useful in providing a guide to the audio, allowing you to search for keywords and jump to a needed quote or clip. This product is very popular with reporters, and of course those on a budget! The speed and convenience of these transcripts is amazing. Choose a plan and connect your media source. 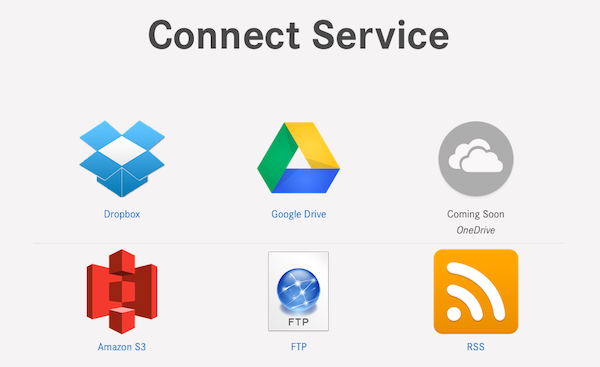 As of this writing, we support Dropbox, Google Drive, Amazon S3, FTP, and RSS feeds. Other sources including OneDrive, Onebox, Vimeo, Youtube, and Box.com are coming soon. Or, if your tech department has the know-how, use our API to build transcription directly into your company’s workflow. 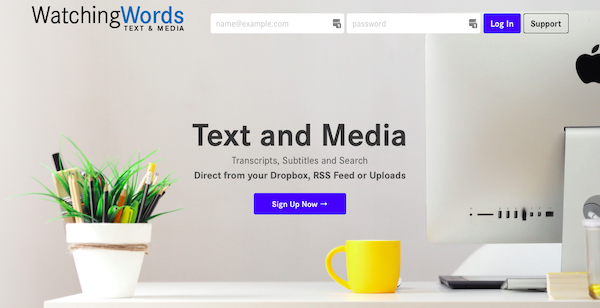 No matter which sources you connect, we’ll pick up new material and get it transcribed in a flash, so you can search, edit, and download ASAP. Visit the WatchingWords main page, skip over to the FAQ for some additional info, or pick a plan and get started right away.